he Trappist Monks have long been celebrated for their brewing tradition, a tradition of consistent quality that supports a way of life that is reflective, deliberate and supportive of the greater community around them. At The Monk’s Cellar we strive to bring a piece of this tradition to Placer County. With a primary focus on quality we intend to create beer worth your time, worthy of each sip you share with friends and family in times of celebration and reflection. Our quality isn’t accidental, either. 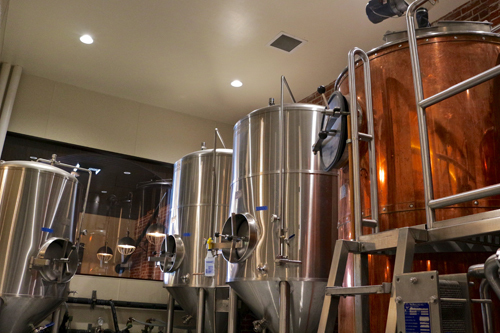 With years of professional brewing experience under our habits, and a brewhouse capable of brewing a wide variety of beer styles, our recipes will be deliberately different – clean, flavorful and fun. the risk for bacteria and wild yeast infection, that’s why we have our tanks in their own sealed room and are more vigilant in our sanitation and cleaning regimes. It’s more work, but we know it is worth it. We think you’ll agree.